Before TeamBho, before MMT, there was CutFface. By now you might have guessed the common denominator here is MC Cut a.k.a Mabars Ayaaa. 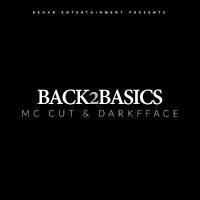 CutFface was the duo of MC CUT and DarkFface, under the Rehab Entertainment umbrella, that seemed to exist until MMT came along. This EP seems like a collection of unreleased material that was just thrown together, probably the reason there is an absence of a proper track order. I’m guessing that these recording were done circa 2012. Honestly I expected I expected to see Faindi and Streets of H-Town here, don’t know how to feel about their exclusion (even though they’re old af). The first song (in alphabetical order) of the EP gives a lot of promise for this EP and no pun intended, I couldn’t believe I was listening to a CutFface project, so many years after their last known appearance. Easily one of the best tracks off this EP, even tho Youngnash and Prometheus sounded blerrr on this. Everyone else brought their A-game. Five words for this one, TEHN DIAMOND OWNED THIS TRACK. This was an interesting collaboration, (considering the MMT/Few Kings beef) which seems to have happened before the Wake Up era. The lovely Crimson Blu was on hook duty for this one. This is a song thanking all the fans that have been with them through the journey. The hook on this track is a bit distracting. I think they shouldn’t have used this Zim Dancehall empress to do the hook. The message on this track I liked though, I think we need more motivational songs in Zim Hip-Hop than the default braggadocio content synonymous with it. I remember this track from a certain 2011 Trae Yung mixtape where we witness the pre-vernac Trae Yung. Naturally I was tempted to skip it as I only expected unreleased music. Those that didn’t previously know this track, might enjoy it. What I like about CutFface was that their music was less bhawa-oriented as opposed. This is a refreshing release, especially coming out of Rehab Entertainment, who are more known for their turn-up soundtracks. Production was mainly handled by Rehab head honcho Anonzi Xndr, with help from Russel G (who I’d never heard off before this) and Youngnash.